Here are few things you can do to ensure fewer people sleep when you present. When people know they are attending a short presentation, their likelihood of sleeping is less. As per molecular biologist John Medina, our attention span is only 10 minutes. Since most presentations cannot end within 10 minutes, your best chance is to stay as short as possible and create an engaging presentation. How? Read below. Even though our attention span is only 10 minutes, we still watch TED talks (most of those are 18 minutes) and we still watch movies. To engage your audience, ask questions. Show a video. Bring in a new speaker. Make them do an exercise. Maybe move their bodies or stand and do some action. Make your presentation a conversation. A one way street will always make them sleep. You are not here to deliver a sermon. When things start going over our heads, we ignore what is being said and switch off. If the AC is good, we sleep too. The first step in being understood is to simplify. Do not assume your audience is an expert. Remove all jargon; it impresses no one. Use stories, examples and analogies. This will help your audience understand you. Present what the audience wants to know or cares about. Do not present what you want to say. Let me give an example. You are making a sales presentation. You are selling a software which will prevent hacking. You want to say many things about your product, about the company, the awards you have received, the esteemed client list and so on. But what does the audience want to hear? Does this software solve my problem? How? Has someone else used it? Can I have a case study and some references? What's the cost? If you make a list of what your audience really wants from your presentation, they will pay attention. They have to. Else why did they let you meet in the first place? If you are passionate about your topic, let is come through. Do not contain yourself. 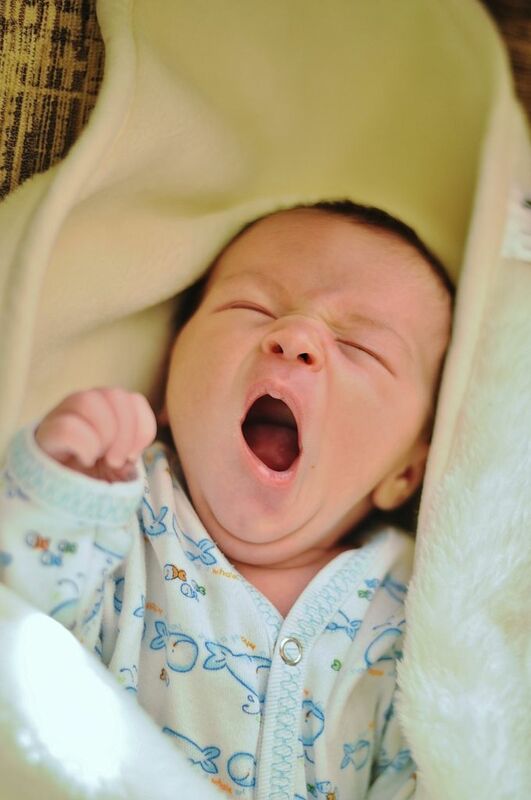 Passion is contagious (so is sleep and so is the baby's photo in this post). Move around, modulate your voice and move your hands. Take charge of the room. Your passion will move your audience and charge them up. If you tell me what I already know, why should I listen to you? You have to tell me something new. A new way of thinking about an old problem. A new insight. A new story. If you are going to say what I think I know, good luck buddy. Keep dreaming and I will dream too. Some presenters switch off all the lights to make their slides look good. They forget that the audience wants to see them. The slides are just the visual aid. What happens when you switch off all the lights and the room is a cozy air-conditioned one? We sleep. It's natural. Before this post makes you sleep here's a short tip - Never read out the slides. That's a sure shot way to put people to sleep. Read more on this topic here and more about attention here.